It’s another shopping bag with a cow! 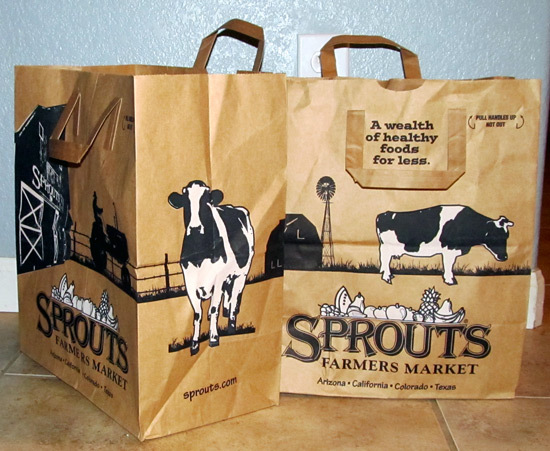 My favorite produce store, Henry’s Marketplace, recently merged with a very similar store called Sprouts. I say very similar because the only thing separating the two stores is their names. You see, about 20 years ago, Sprouts was the one produce store around here. I’m not sure what happened but some members of management decide to leave and create their own produce store, calling it Henry’s Marketplace. The store logos are very similar, everything inside looks the same, except for the branding. If all the branding signs were removed and someone made you step into one of the stores, I bet you wouldn’t be able to tell if you’re in a Henry’s or a Sprouts store. 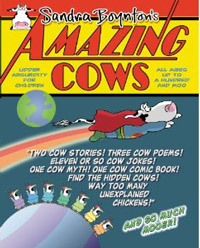 These are some pretty big cows, wouldn’t you say? Even though Henry’s is changing its name, it’s still one of my favorite stores, and now for another reason! 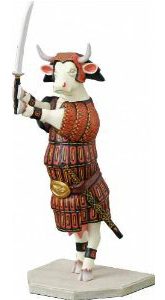 Next Post Today’s cow is on a trophy!